You may be a bit fuzzy on this topic in more ways than one. Today we’re tackling that pesky moss in your lawn. 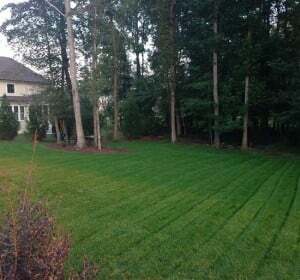 When the weather is warm, it can blend right in with your thriving green grass, but in the cooler months when your warm-season lawn is dormant, you’ll see it sticking out like a bright-green sore thumb. Why Do I Have Moss? 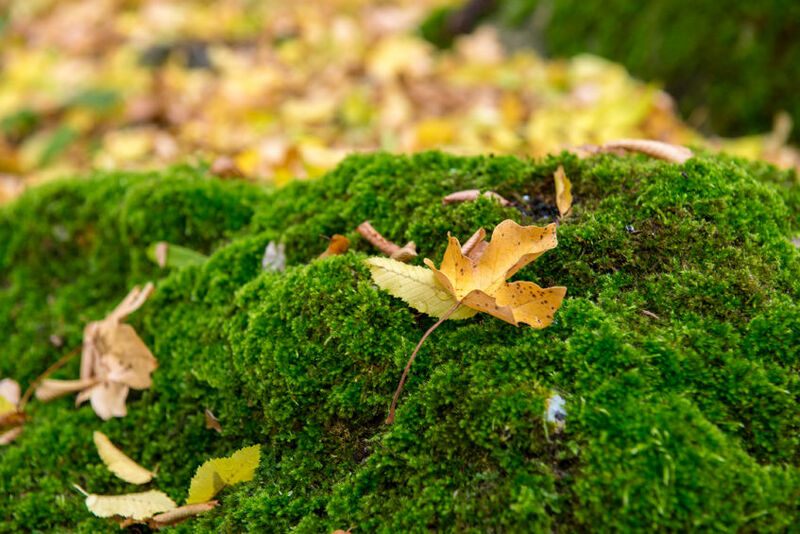 Moss is usually an indicator of underlying problems – unbalanced soil pH, a lack of sunlight, excessive moisture, or compacted soil. If you have an area with moss, you can’t immediately kill it and expect grass to grow. 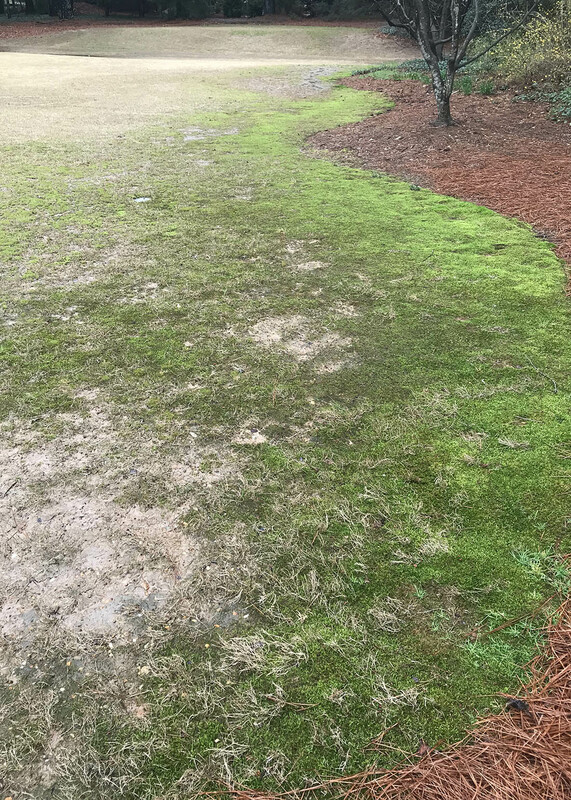 Stopping moss involves slowly correcting problems to ensure your soil is ready to support the grass you aspire to grow. It will be worth it in the end! 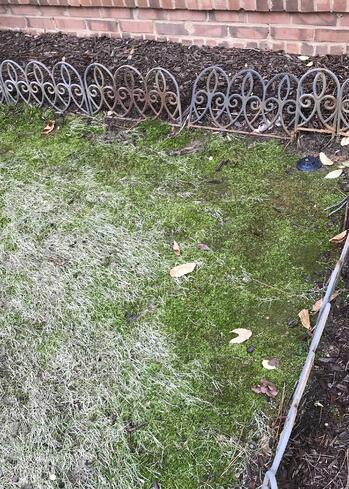 How Do I Kill Moss in My Yard? Don’t use moss-killing products you find on the shelf. These products won’t truly work because – while they may eradicate the issue for a season – chemicals aren’t actually correcting the problems in your lawn. 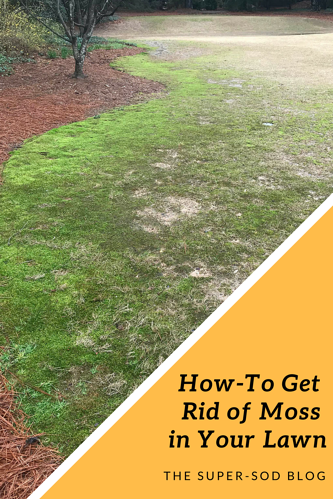 The key to killing moss is correcting the environmental obstacles step-by-step, and we’re here to guide you through that process. How Do I Correct Problems that Cause Moss? Here’s what you’ve been waiting for! A step-by-step guide for making those crucial corrections. Ridding your lawn of moss is a long game, and it takes advanced planning. The space is green right now, and you may decide to embrace your fuzzy friend rather than follow these steps. Do your research before embarking on this journey. Moss loves acidic soil. Your soil could be low on the pH scale, causing a healthy environment for moss. Adding lime to the area will help raise the pH, making it less hospitable to moss.When you add dolomitic limestone to the lawn, it’s also full of calcium and magnesium. While they don’t necessarily fight moss itself, they will provide a healthy soil base for the grass you plant in the future.Learn more about the importance of lawn pH here. Drainage is a prominent issue affecting moss. 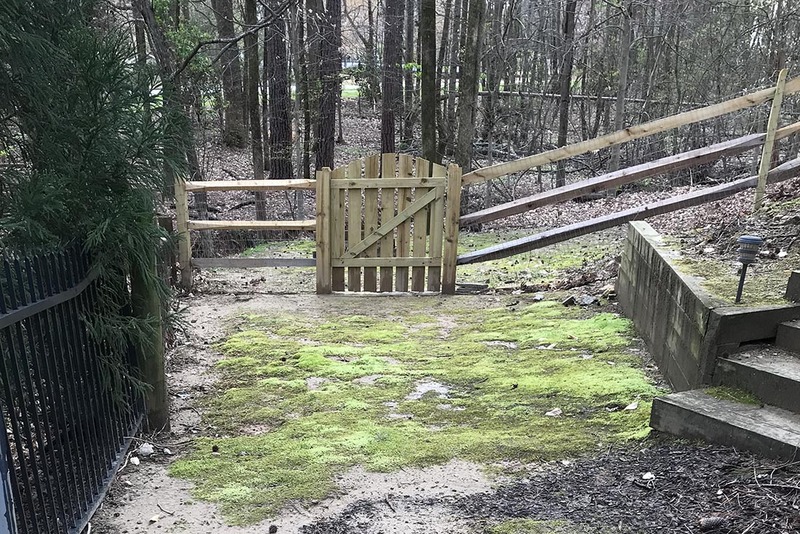 Standing water can make the area far too moist and create a cozy little bed for moss. Improve the area by adding a dry creek bed or a tile drain to move moisture away from where you want your grass to grow. You’ll need to get that moisture out and invite the air in! Aerating the soil will provide more air flow in your soil, and it’s best to incorporate organic matter such as Soil3 compost.See our video on proper aeration and topdressing here.Note:When aerating, don’t use a machine that pokes holes in the ground. Rent a core aerator that removes plugs of soil instead. It won’t come as a surprise that moss loves the shade, and we’re willing to bet your problem is located under a nice dense canopy. Increase the sunlight to the mossy area by trimming limbs below 10 feet (per University of Georgia Extension) and those at the top of your trees blocking out a lot of sunlight.Keep in mind that any grass typically grown in the Southeast is going to require at least 3 hours of sunlight during the spring and summer to survive. If you don’t have at that much sun even after pruning, you may want to consider other shade-loving plant alternatives. Find some of our favorites on the “What to Grow Under Trees” Pinterest board. 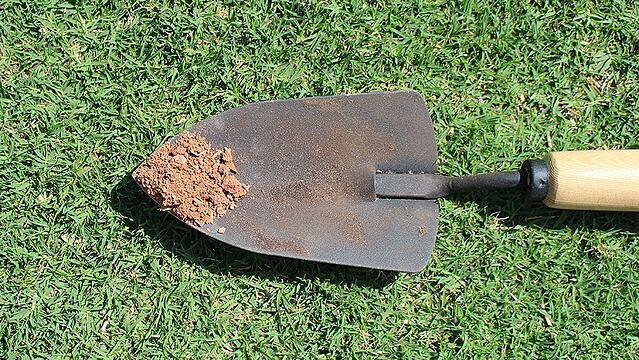 Once you’ve killed the moss, you’ll want to rake it up and prepare your soil for installing sod or planting seed. 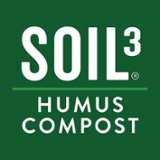 Learn about soil preparation here. 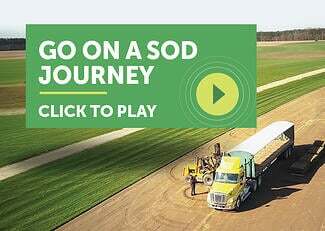 Now that you know the steps to take in eradicating your slick green yard companion, it’s time to decide how you want to handle it. Will you love and embrace it or replace it with grass? If you decide to take action, we’ll happily help you decide on your grass! 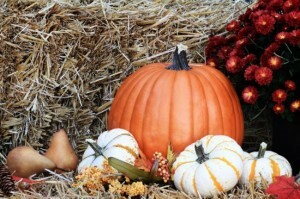 Call Super-Sod for help selecting new grass that feels like carpet beneath your feet instead of slime under your toes!